Police Scotland is appealing for information following a high value theft from a residential property on the outskirts of Aberdeen. Jewellery valued at a mid five figure sum was stolen from a residential property in the Maryculter area of Aberdeen, close to the River Dee on Sunday, September 4, between 1pm and 6pm. The jewellery included necklaces, rings and watches. 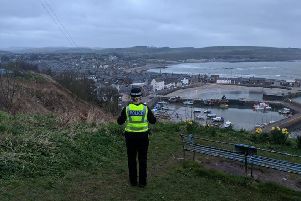 Investigating officer Terry Woods said: "It was good weather on Sunday and so there would been a lot of people heading in and out of Aberdeen during the afternoon. "Also there may have been people rafting or fishing on the River Dee who may have information that can assist. "If you noticed anyone acting suspiciously in the Maryculter area on Sunday afternoon or have any information that could assist the investigation please call Police Scotland on 101 or the charity Crimestoppers on 0800 555 111. "I would also remind homeowners to ensure that all windows and doors are locked when leaving their property unattended. With the current warm weather, although it is tempting to leave a window open when out, it does give thieves a way to get in. "To ensure you don't become the victim of crime, lock your property securely."